Good lord, those outfits are gorgeous!! Letitia Wright as Shuri, T'Challa's younger sister. Wow! I really am impressed by this sneak peek! I like how advanced Wakanda is, and the action and scale this movie presents. Will be cool! That looks so good. Enthusiasm pumped up even more. My only minor nitpick is that didn't they establish in the other Marvel movies that Wakanda is an African superpower? I was just slightly confused by the initial dismissal of Wakanda in the teaser. Not really. In Civil War, when T'Chaka went to UN meeting in Vienna he specifically said that Wakanda is a country that has historically been isolated in the shadows but had recently decided to rejoin the rest of the world after the events of Age of Ultron (because stolen vibranium was involved). This. Even in the comics, the culture and politics of the country has Wakanda being severely isolationist as a matter of national security. No doubt the path that T'Chaka (and later T'Challa) sets the country on, becoming more public, and starting a fight for the throne, will be a central theme of the film. I was emotionally overcome, watching this. Tears in my eyes. I've loved this mythos, these characters, for so very long. To see it all realised... to see "Panther's Rage", Kirby and Priest all referenced so heavily, even in just these two minutes... thrills me in ways no other comic book movie has to date. The world's already found out how awesome T'Challa is - now it'll get to see how wonderful, diverse and fascinating the mythos, characters and culture surrounding him are as well. Didn't occur to me until someone pointed it out that we're getting Gollum and Bilbo facing off again. I don't have much interest in live action superhero movies in general and I'm pretty bored of the MCU in particular, but the trailer looks amazing. I'm actually considering seeing this in the theater. I really hope that there will a good, proper villain, something the Marvel movies lack more often than not I feel. The villain (other than Klaw) is actually seen in the trailer, but looks a bit different. Yes, Black Panther *deserves* a better quality of villain. Excellent trailer, but that poster makes it look like they cut and paste the actor's head on his own body. Don't worry, you're not. Trailer's good, but that poster...well, nice concept, but it just looks off. The suit looks so much better in motion. Very exciting been waiting for T'challe to receive his due for solo. I'm sure some will be miffed by the lack of Storm which I respond with she's with Fox. Therefore not my problem. Get the priest volumes first! I hope there's a decent villain. 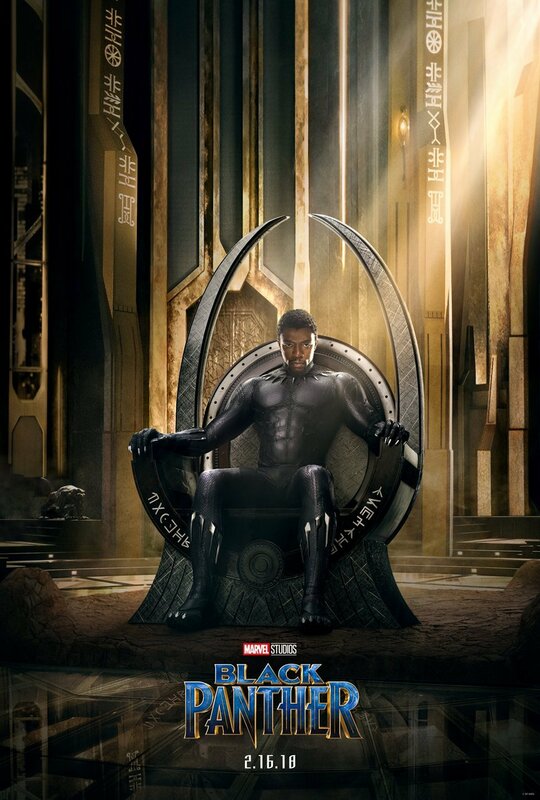 It will also be interesting to see if they tackle T'Challa's duties as a King. He's not the kind of guy who's going to be stopping purse-snatchers, he has to manage all the little facets of one of the richest nations on Earth. It's part of what makes his character so intriguing, because he is burdened with so much responsibility. This looks amazingly good!! I really hope it does not disappoint. The poster looks a little too photoshopped with his face but I can let it slide. ....... 48 Hours After New "Black Panther" Trailer Drops. Srsly, they actually did that instead of just postponing it till after BP hits theaters.